The world we live in is developing with innovations and digitizing every day, and we can’t keep up with the pace of these innovations. While the world is changing, we always aim for innovation, too. With the experience of 25 years on computer vision and document/data capture experience, we, as CaptureFast always aim to pursue technology. With the product range to extract and digitize data trapped in paper-heavy business processes, we are ready to help you to keep pace with the age of digitization. And from now on you will be reaching the information of our products via FinancesOnline. FinancesOnline is a popular platform for SaaS/B2B software and financial products reviews and useful resources on various business software topics, from primers on what is document management software to market trends and analyses. FinancesOnline has an extensive base of software reviews prepared by both experts and actual users. 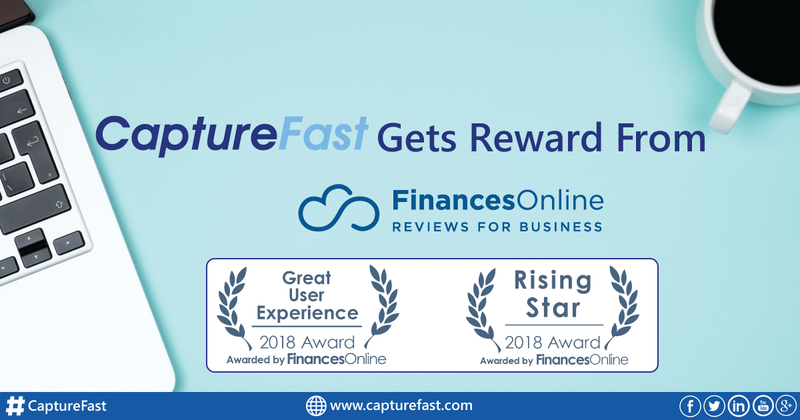 As seen in the review on FinancesOnline, CaptureFast is ranked with an 8.0 rating, which can be evaluated as a high score. FinancesOnline also considers CaptureFast as one of the top alternatives to document management software and ranked us #77 out of the 100 in the Document Management Software space. Now let’s see the review on FinancesOnline about CaptureFast. 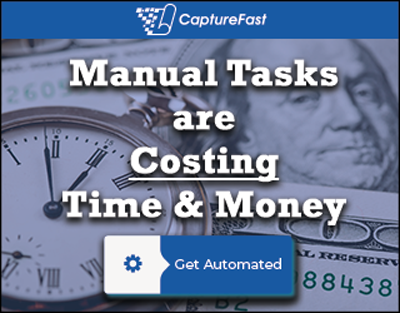 The experts on FinancesOnline say that CaptureFast’s cloud and mobile-based approach dramatically speed up the way you capture data from documents such as contracts, receipts, files, invoices, tickets, and more. People at the office can easily create templates and set the parameters on what data to capture from documents. According to FinancesOnline by CaptureFast field-based workers can turn their mobile phones to powerful document scanners and gather all the required data from anything, including registration forms, leases, cheques, and airline tickets among others. According to the team of FinancesOnline, CaptureFast features provide seamless integrations and API capability that allows you to collect and move information from one application to another easily. The experts point out that the integrations with Box, Google Drive, One Drive, and Salesforce among others provide you a clear picture of how CaptureFast can simplify the way you move and store data to your existing software and applications. On FinancesOnline, you may see the examples of the sectors where CaptureFast solutions can be used. For instance, in real estate, insurance and healthcare areas CaptureFast offers you many solutions to work without papers and get digitalize. Experts on FinancesOnline think that since CaptureFast offers you paperless work, you will save time and increase your productivity in your business. According to Customer Satisfaction Algorithm of FinancesOnline which brings feedback, comments and opinions from the user’s side, CaptureFast garnered a 100% user satisfaction rating. This fact shows that everyone likes CaptureFast! CaptureFast also received rewards of “Great User Experience-2018” and “Rising Star-2018” from FinancesOnline.